What? 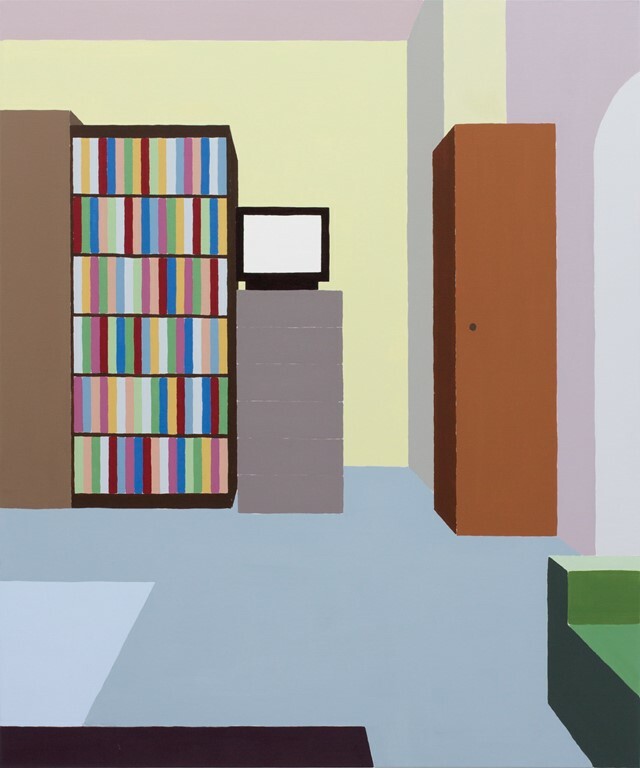 Schweger’s pastel-hued, graphic paintings of the interiors of her grandmother’s home in Hungary are something like an excavation of memory: a record of absences and multiple belongings. “My family do not use the home anymore, as we’ve relocated to London – yet most of our old furniture and belongings are still there, looking frozen in time,” she observes. Semi-bare with little sense of time and place, they suggest the inhabitants have long gone, but could imminently return. 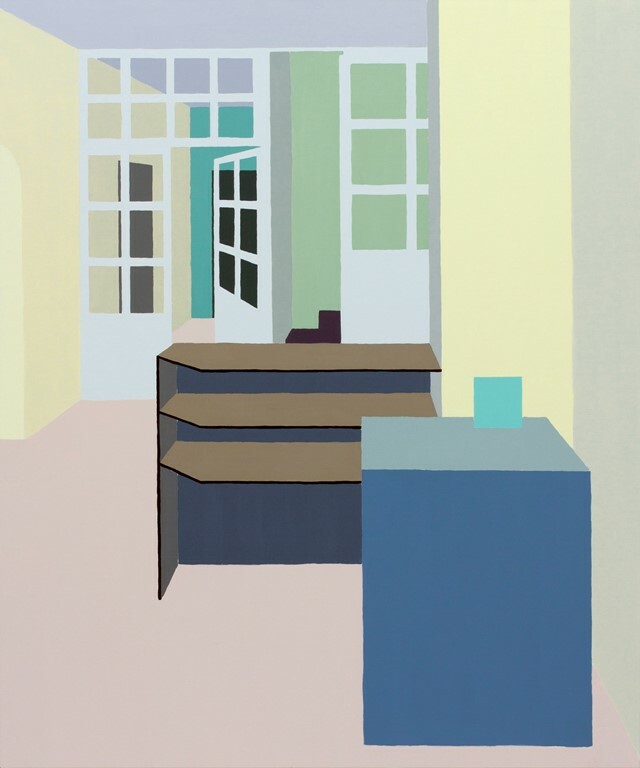 The artist intentionally jars her soothing colour scheme with no coherent lighting source and a disorienting perspective, rendering this home a place of both affinity and impenetrability, nostalgia and inertia. 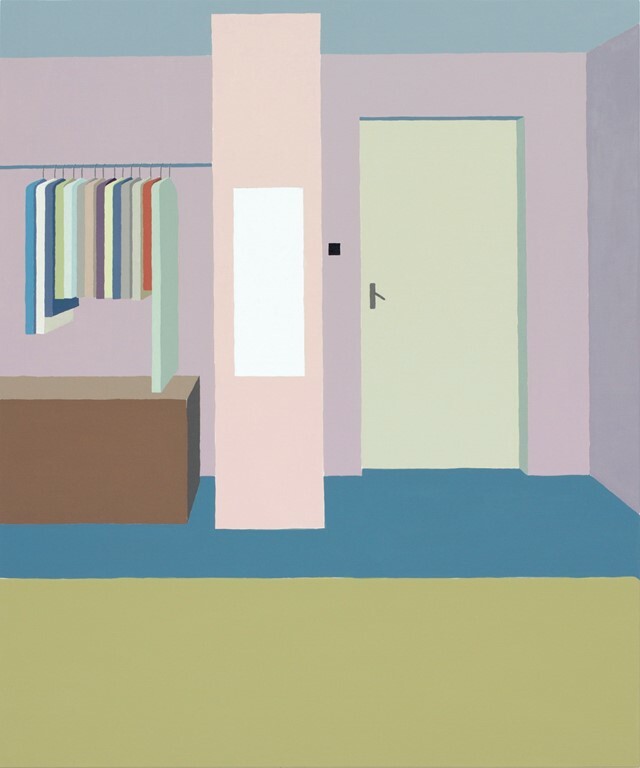 “I make use of alluring colours as I want my paintings to be attractive and inviting, but at the same time I apply paint in a reductive manner, hinting at a sense of alienation,” the artist explains. “I like the idea that the paintings invite you in, but also lock you out.” The white of the canvas sometimes shows through blocks of colour, while her freehand strokes create small trembles in the application of paint; a gentle spilling-over of borders, evoking the uncertainty of ownership, and the fragility of memory over time. The title of the series itself also weaves biographical detail: with 'bloc' without the 'k' implying the Eastern Bloc, which ended with the fall of the Berlin Wall the year she was born. Three pieces from this series will be exhibited among the year’s other Bloomberg New Contemporaries from November 23 until January 22, 2017. Bloomberg New Contemporaries 2016 runs from November 23, 2016 until January 22, 2017 at the ICA, London.